Tony Horwitz vividly recounts Cook’s voyages and the exotic scenes the captain encountered: tropical orgies, taboo rituals, cannibal feasts, human sacrifice. 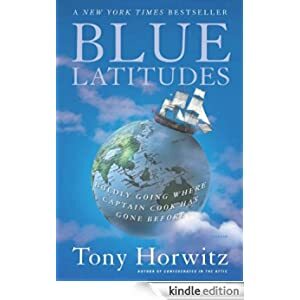 By turns harrowing and hilarious, insightful and entertaining, Blue Latitudes brings to life a man whose voyages helped create the ‘global village’ we know today. Buy it today for only $1.99.